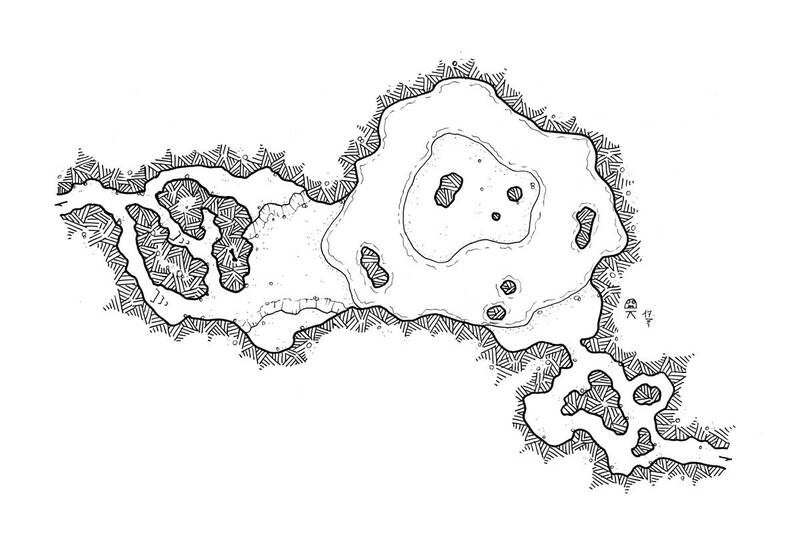 This small level for the modular cavern was drawn during the RPGers festival. I wanted this small lake to be a real environmental barrier in order to force the PCs to reflect as they progress through the network of caves. Simply swim to cross the lake would be madness, who knows what kind of infamous creatures hide in the bottom of this brackish water. You like my map? Why not become one of my patrons and enjoy some benefits!